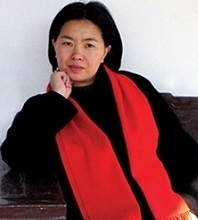 Han Yan, born 1969, began writing poetry in the late 80s. Her work has appeared in various journals such as World Literature Today (U.S.), Shanghai Literature, and World Literature (Beijing). 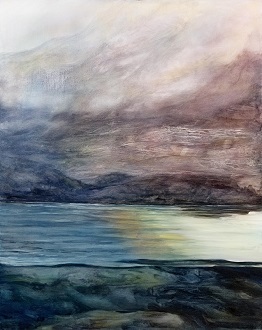 Among her published collections are Segments and Echoes (2003) and Westward Moon (2012). Her poems have been rendered into English, French, Spanish, and other languages. Her honors include the Haizi Poetry Award and the Yu Long Poetry Prize. A freelance writer, she currently lives in Jinan, Shandong Province, China. 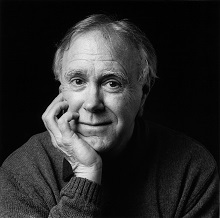 Robert Hass, former U.S. Poet Laureate, is a recipient of the MacArthur Fellowship, two U.S. National Book Critics’ Circle Awards (1984, 1997), the Pulitzer Prize, the Yale Series of Younger Poets Prize (1973), and the 2014 Wallace Stevens Award. His collection The Apple Trees at Olema: New and Selected Poems was published by Ecco Press in 2010. In addition to his numerous collections of poetry and essays, he has co-translated three volumes of poetry by Czeslaw Milosz, most recently Facing the River, as well as The Essential Haiku: Versions of Basho, Buson, and Issa. He is Distinguished Professor of Poetry and Poetics at the University of California, Berkeley. Ho Fuk-yan was born and raised in Hong Kong, graduating from the Faculty of Arts at The University of Hong Kong. He recently retired as Head of the Chinese Language Department at St. Paul’s College. Among his poetry collections are An Interview with a Dragon; A Prayer for Flying; and If No Apple Fell on Newton’s Head, which received first prize in poetry from the Fourth Hong Kong Biennial Awards for Chinese Literature. His prose includes two essay collections, A Tree Reborn and The Angle of God, and Traveling Through Books, notes on travel and reading. Other titles are Topics on Time: A Dialogue, awarded the Chinese Literature Recommendation Prize at the Fourth Hong Kong Biennial Awards, and Floating City I, II, III—New Analyses of Xi Xi’s Novels. 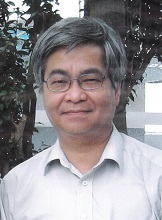 He is also the editor of the Xi Xi volume in the Hong Kong Literature Series. He lives in Hong Kong. Share the post "Summer/Fall 2015"